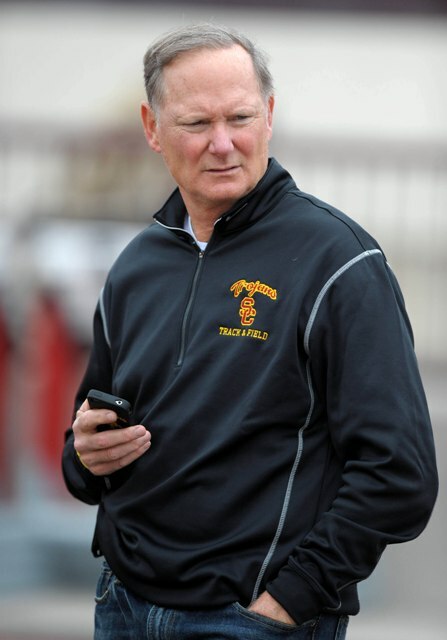 Pat Haden’s summer football update after the jump…Fight On! The 2011-2012 school year was a successful one for USC Athletics. Our Men’s Water Polo team and Men’s Tennis team both won their fourth consecutive NCAA Championships, an unparalleled achievement in this era. Additionally, we had four student-athletes win individual NCAA Championships, including Steve Johnson from Men’s Tennis with his second in a row, and swimmer Katinka Hosszu, who won both the 400 IM and the 200 Fly events. Four of our student-athletes won National Player of the Year awards, and three of our head coaches were selected as the National Coach of the Year in their respective sports. Buoyed by this amazing year of athletic success, USC finished sixth in the 2011-2012 Division I Learfield Sports Directors’ Cup, one of four Pac-12 schools to finish in the top 10. We also will add to our Olympic history as we send more than 30 student-athletes to the Summer Olympic Games in London. We want to thank you for all of your amazing support in the last year. Without you cheering our student-athletes on to victory and propping them up in defeat, we would not have had the year that we did. The Trojan Family is an integral part of everything we do here at the Athletic Department. With that in mind, we have started looking towards the upcoming 2012-2013 school year. The year promises to be a big one for the USC Athletic Department. Lane Kiffin strengthened his already impressive staff by hiring Secondary Coach Marvin Sanders, Linebackers Coach Scottie Hazelton, and Wide Receivers Coach Tee Martin. Tee Martin joins us from Kentucky, and played collegiately at the University of Tennessee where he won the 1998 National Championship as a quarterback. Scottie Hazelton spent the past five years at North Dakota State, where he helped the Bison win the 2011 NCAA FCS National Championship as his defense was one of the top ranked in the FCS. And Marvin Sanders spent four seasons as his alma mater Nebraska’s secondary coach. Under his tutelage, the Cornhuskers led the nation in pass efficiency defense twice. This upcoming football season for us is certainly going to be a fun one, and we want to make sure you have fun at all of our events. We know that if you continue to enjoy and feel safe at our events, then our Coliseum cannot help but become one of the most difficult places in the country for visiting teams to play. From the Thundering Herd around the tunnel to the student section anchoring the opposite end-zone, and everywhere in between, the Coliseum can be an intimidating place to play for an opposing team. Game day at USC is a one-of-a kind experience, not duplicated anywhere else in the country and we are happy that you can be a part of it and contribute to it in a positive way. Please take a minute to read below about some of the new things you are sure to see on game day this year. The final touches and finishes are rapidly coming together on the John McKay Center, a 110,000 square foot, $70 million facility dedicated to elite academic support as well as performance and recovery for all of USC’s 21 sports. The JMC is on track to open later this summer in time for the arrival of all of our student-athletes for the Fall semester. A very special thanks goes out to all of the generous supporters and the campus leadership for making this vision become a reality. We would like to see every purchased ticket used by a cheering USC fan so we can keep our great home field advantage. In case of a schedule conflict with one of our games, you can use the Trojan Ticket Transfer program, which allows you to electronically send your tickets to friends or family who will be using your seats that game. Once the ticket has been transferred your guests can print out new tickets and your old tickets are automatically canceled—all with no fee. I have found Trojan Ticket Transfers to be an easy way for our fans to help us maintain our home field advantage. All parking around the Coliseum is now reserved on a lot-by-lot basis. Members of the Trojan Athletic Fund will receive information via email regarding online parking registration. You must have a Trojan Athletic Fund online account to register your football parking requests. Parking requests will only be processed for memberships that are current. We encourage you to visit http://www.trojanathleticfund.com to set up your online account—it will only take a few minutes! For those fans without an assigned parking lot, we encourage you to park in any USC campus lot or structure. There will also be more public parking near the Coliseum, as well as reserved RV parking. For updated parking information, visit http://www.returnoftroy.com; more details will be added as we get closer to the first game. We are continuing to refine our staff training program for our ushers and ticket takers, focusing on improved customer service; plus the Game Day Ambassadors who were stationed throughout Exposition Park will return again this season. Additionally, there will be improved signage and we are working closely with wireless services companies in order to improve mobile device reception inside and outside of the Coliseum on game day. We want your experience at USC football games to be safe and enjoyable. We ask that all of our patrons follow the Trojan Spirit Code, which is based on the simple principle of treating all fans with respect. Last year we increased security patrols in Exposition Park, on campus and in the surrounding community. For the upcoming year we are working on continuing to make the Coliseum the family environment that our fans deserve. We are all excited about the new Expo Line that skirts campus on Exposition Boulevard on the south side and Flower on the east side. The Expo Line now connects USC directly with Culver City as well as the entire Metro Network via transfer. To find out more information about the new Expo Line, including locations of free Park-and-Ride lots, please visit http://www.metro.net, or click here to download a Metro map. The Athletic Department is excited about the opportunities that will be provided by the new Pac-12 Networks, which will consist of one national network and six regional feeds that will provide 24/7 access to Pac-12 teams and universities. Throughout the upcoming year the Pac-12 Networks will broadcast around 850 live events, from football to our newest sport, Women’s Lacrosse. The Pac-12 Networks will be available through your local cable provider. To find out more information about all the Pac-12 Networks will offer, and to see how you can tune in to the new action, click here. We hope all of these improvements will lead to a better experience, whether you are joining us in person or watching on TV. We truly hope that you will continue to support all of our sports programs and share the experience with friends, family, and associates. We’ll see you soon at the Coliseum. Thank you for your support.